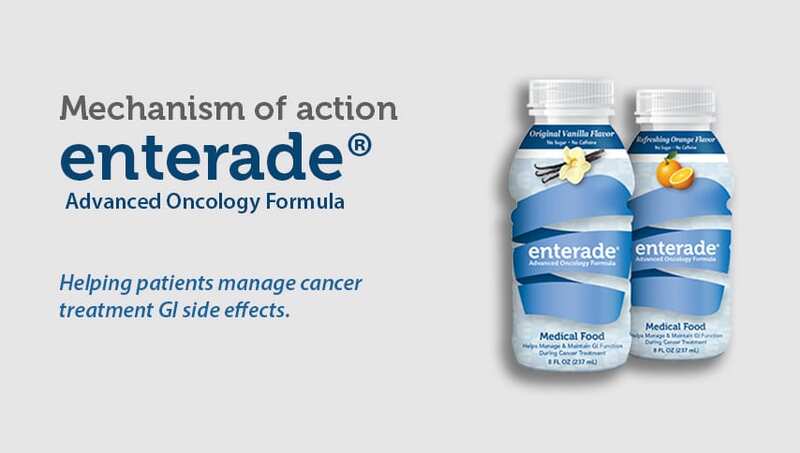 enterade® is a glucose-free medical food that provides select amino acids and electrolytes. 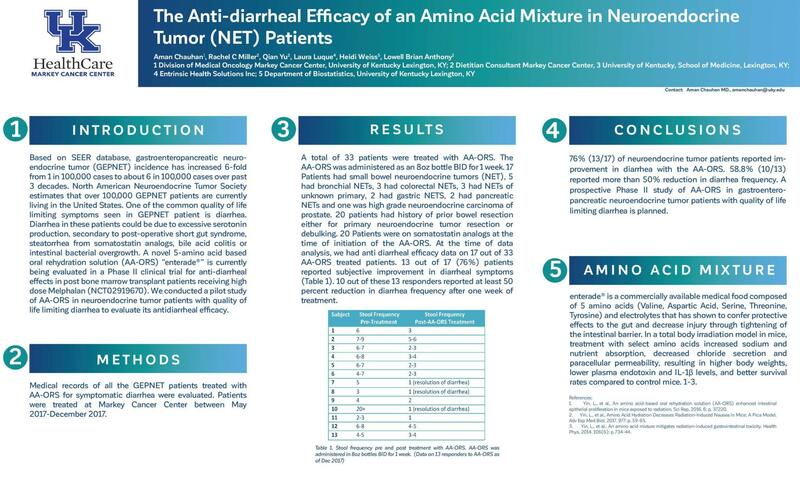 Our goal is to help reduce as early as possible the GI side effects caused by cancer or cancer treatments. 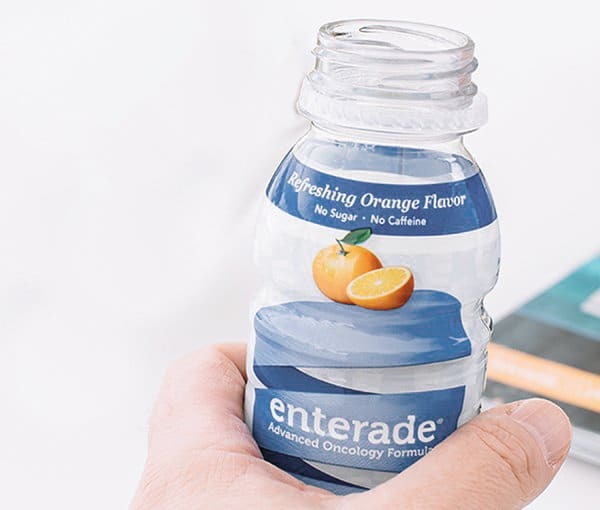 enterade® promotes GI health, improving how you feel. After finding out I had stage 4 colon cancer my brother and his wife stopped over for a visit and while here they showed me a website for Enterade. "They said what do you have to lose try it!" So the day I started chemo (March 8th) my case arrived and I started drinking it. I drink one bottle a day every day and this seems to work for me. I don't want to change my regiment because I do not have any side effects from chemo as of yet (only a one-day headache). I have advanced pancreatic cancer. I have been receiving chemo therapy since December. My sister sent me a case of your product. It is easy to drink. It does work very well to keep me hydrated. It also does help with the nausea. Thank you for developing this formula .